Let me set the scene for you: When we recorded this episode I was still very much pregnant, Drew was wearing nothing but his underwear and a pair of socks, and one of our pups was sleeping on the dining room table. Keeping it real with you all. Our last Ask Us Anything episode was one of your favorites, so here we are again, ready to answer your questions about pretty much anything. 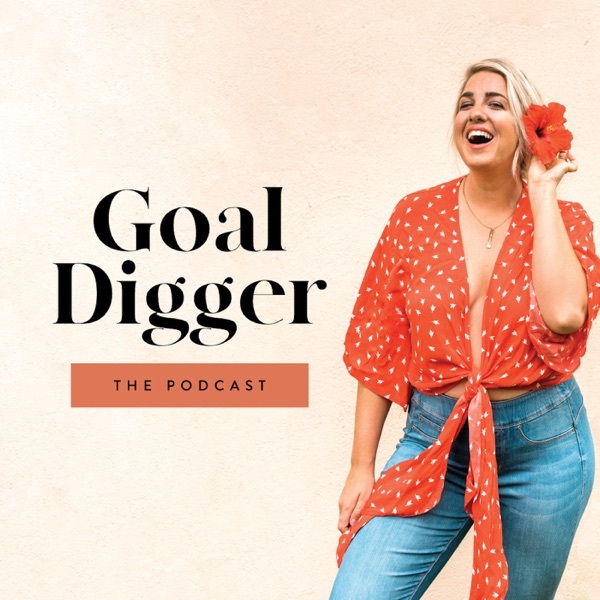 When I asked for your questions in the Goal Digger Insiders Facebook Group and the Goal Digger Podcast Instagram account, I have to admit, I was pretty surprised at what you wanted to know and how personal you wanted us to get. If you’re wondering how we balance this crazy entrepreneurial journey, keep each other smiling on the toughest days, how we knew each other were the one, or how many kids we want, this episode has the answers and so much more about US.